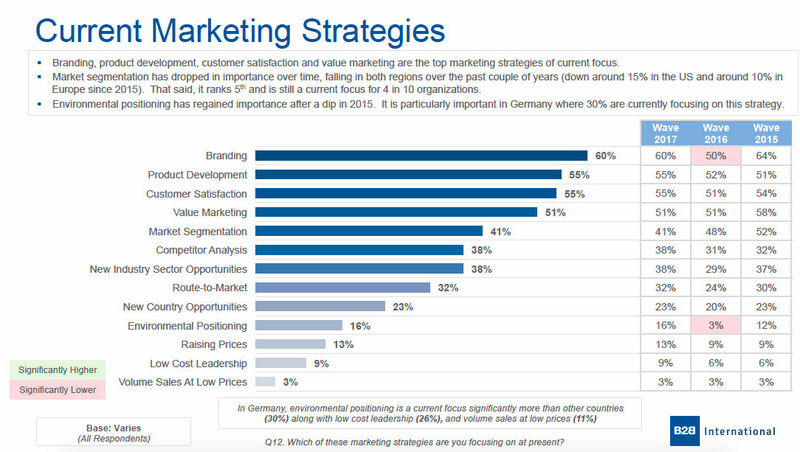 A recent B2B International survey* of large businesses serving B2B markets has found optimism among marketers across the US and Europe, many of whom are focusing on brand as a growth driver. The outlook is positive: 57% of survey respondents anticipate marketing budget increases this year, compared with 38% last year who said they were expecting an increase. Although that optimism is industrywide (no more than 13% expect a decrease in budgets, regardless of the industry group), those in trades and services (e.g., retail, hospitality, transportation, and energy) are more optimistic about their marketing budgets than those in knowledge-based sectors (e.g., IT/technology, financial services, healthcare, and education). Market research budgets are also set to increase: 49% of respondents anticipate an increase over the next 12 months, versus only 13% expecting a decrease and 38% envisioning no change. That pattern is the same for the US and Europe. 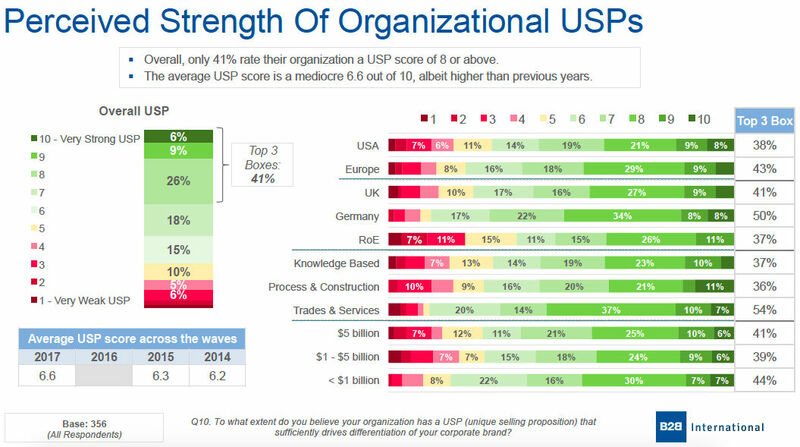 Only 41% of respondents say their organization has a strong USP (unique selling proposition). Only 43% perform well in assessing their brand health at regular intervals (e.g., measuring awareness, brand perceptions, brand performance). Julia Cupman is vice-president at global business-to-business market research agency B2B International, which serves a wide range of sectors, from traditional heavy industry to financial and business services. Reach her via +1-914-761-1909 or email: newyork@b2binternational.com.